An only slightly-outdated pic and inventory...since this pic and inventory was taken, I've lost (literally, weep...) the Canon 40D used to take this, along with the Sigma 10-20mm and Canon 35/2. They've been replaced with a used Canon 5D classic, and a Canon 50/1.4 (a great lens...). Also added yet another pre-war Exakta mount 5cm/2.8 Tessar, and a Nikkor-H 85mm. I only really use about 8 or 9 lenses...whilst it's cool to have 5 pre-war 5,8cm Biotars...I can only use one at a time...and not even on the 5D, only one of the Canon film bodies. 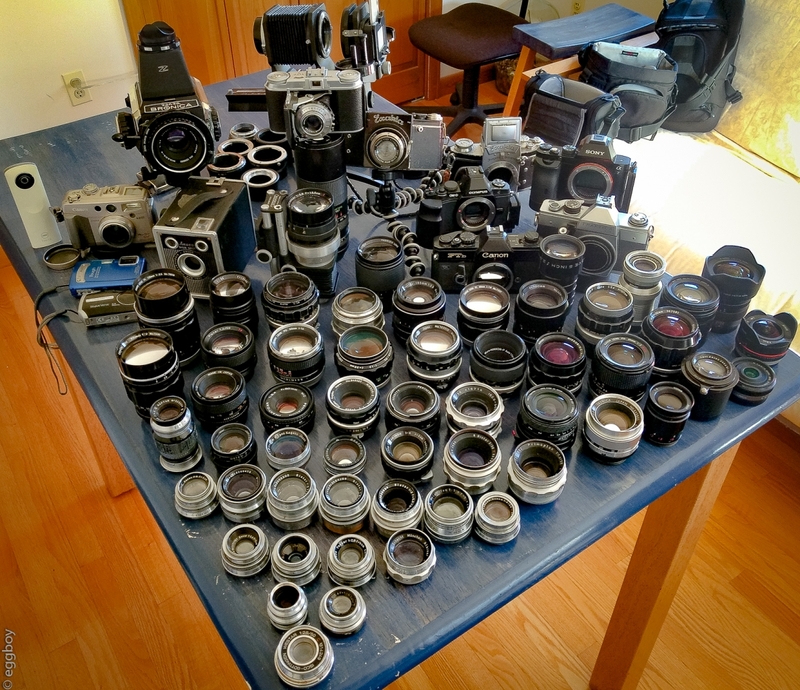 I was lucky to have aggregated these before lens prices have risen. Maybe if I sell all of them I can get an Ernostar! 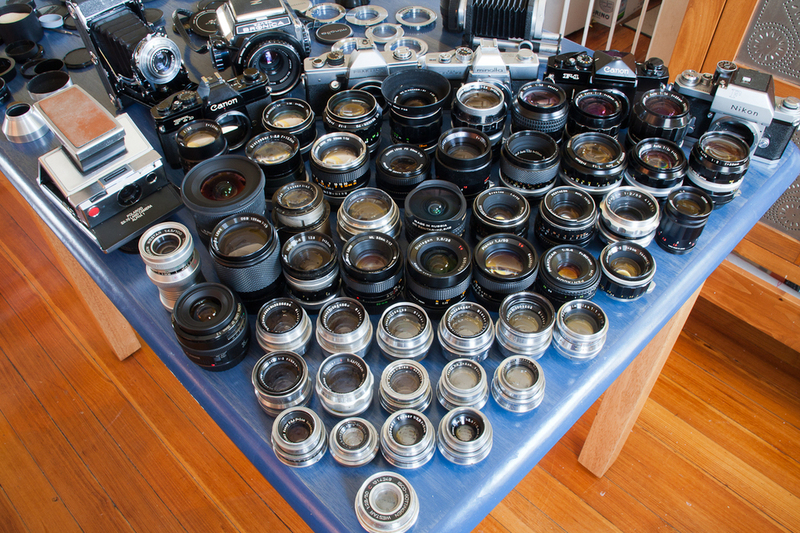 That is quite a collection with very nice cameras and lenses between. Five Biotars seems a bit exxagerated indeed. Is one Ernostar so exciting? So row 2 is a secret?? @kds315L I blame dyslexia for the ue/eu mistake! Row 2 is there, just didn't have a line break in there. Corrections made and thanks for pointing out the error...I see I've done the same thing in my Lightroom metadata sets. Darn. @Minolfan-there's actually SIX Biotars including the early post-war M42 mount one. And have you ever seen one of the 10cm/2 Ernostars in person! I thought at first look this is a seller stand on a camera fair Congrats!!! Nah, there are too few. You are missing many longer lenses, for one thing. You need to fill up another table. Worse .... I even never had a Biotar in my hands! Thanks for the corrections! Nice collection overall! @Minolfan: I wound up with them originally when I decided to get a passel of old Exakta bodies with different lenses, 'cos they look so cool and I thought it would be fun to shoot with them. I wound up selling the old Exakta bodies...much prefer the F-1 (I've one of the original Exakta/Canon FD adaptors) or my now-sold Contax RTS II. 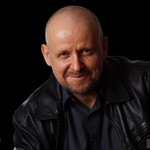 Old Exaktas etc. (as we all know) were really cheap 5-10 years ago. @Klaus: I'd actually should sell most of these, as I find I only use a few. Then get a big old Ernostar and then file for bankruptcy! Same table, different house and different town. 50mm f2.8 Isco-Gottingen Westar 1:2.8/50 c.1955 M42 - gotta love front cell focusing triplets!